This initiative is organized by Nami Kim of Save Korean Dogs, a nonprofit dedicated to stopping this horrifically cruel industry. They are raising further funds to fight the dog meat trade and care for dogs rescued from meat farms. These ads are especially relevant right now, with South Korea due to start its Bok Nal dog-eating days on July 17. Bok Nal takes place annually during July and August, when locals will consume “bosintang” – dog meat soup – on the three supposed “hottest” days of the year. Many people mistakenly believe that eating dog meat during this time helps to cool the blood and improve stamina. Up to 80% of dog meat produced in Korea is eaten during Bok Nal – an estimated one million dogs will die during this period. Although the popularity of eating dog meat in the nation is rapidly declining, particularly among the younger generation, Bok Nal is still widely celebrated. How much does it cost to run a bus ad? Could individual people rent space on one. Its such a good idea! Great job. I am impressed with what you have done to peacefully but strongly spread the word about eating dogs. The vile sickening Dog meat trade shames South Korea deeply, you would have to be a psychopath to think that its acceptable to torture a helpless animal by boiling and skinning it alive!, totally horrific! Dogs and cats are beloved pets, not food!! STOP THE HORRIFIC ANIMAL ABUSE NOW!!! Love this!! They also need to put up HUGE billboards and tv commercials. I’ll donate for that cause for sure. Ban the dog meat trade FOREVER!!! Dogs are family! 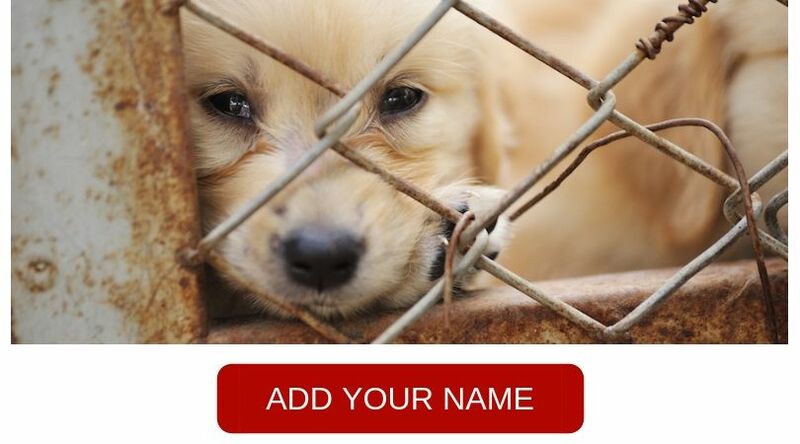 Stop the horrific torture and killing of our beloved family dogs (and cats)! Why are Asian people so superstious? To pet a dog is healty, eating a dog is gonna kill you! Treat and love your dog as family and you live longer!! Dogs are wonderful and loyal companions for all people. They don’t deserve to be tortured and killed. Maybe another sign saying it cools the blood and gives stamina is garbage. Petting a dog lowers your body. This is so barbaric please stop it at once. Ureayellow “people” must be all killed. Otherwise they do not stop. Dogs are not meant to be treated like this!!! I would like to see the Koreans introduce a programme to humanly and selectively Cull some of the dogs suffering ill health and neuter the healthy population of their dogs to progress to a healthy dog population. where all dogs have a home. do the same for Cats. Eat proper food that has been humanly raised and slaughtered. Surely the S. Korean government needs to realise that we are in the 21st century and needs to end this barbaric ritual. Bad enough to eat dogs and cats but they are behaving like an uncivilised country in the middle ages by this way they kill these poor animals. They need to step up and end this practice once and for all. I really hope this is banned forever. This is barbaric and needs to stop now!! Dogs and cats have bigger hearts than most humans. Why are you making these beautiful creatures suffer. It’s inhumane! Please stop now and give them the life they deserve. They are like our children. Would you butcher your child?! pls mercy for this animals . they deserve to live with families. they ar not food .